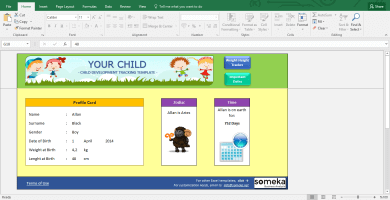 Someka BlogHome Blog Excel Using Pre-Made Excel Templates VS. Creating From Scratch: Which is Better? 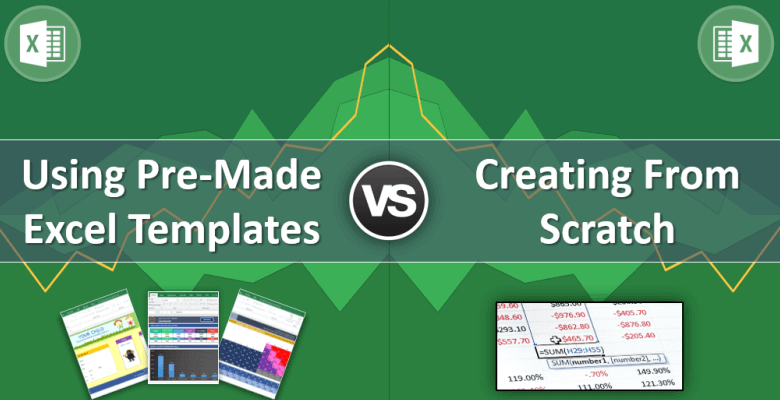 Using Pre-Made Excel Templates VS. Creating From Scratch: Which is Better? As this is a good question we will touch a bit to the details today. 1. Excel Skills: How comfortable are you with Excel? This is one of the most prior questions to be answered. 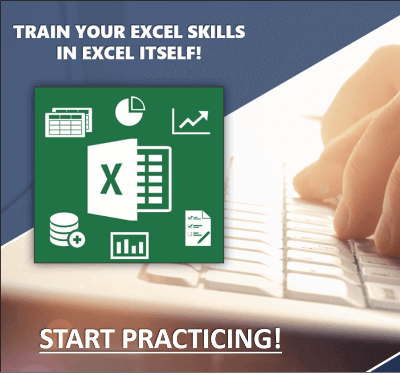 If you are an excel expert, know how to use most formulas, conditional logic, arrays, charts, pivot tables, even vba, then most probably you will prefer to go from scratch. 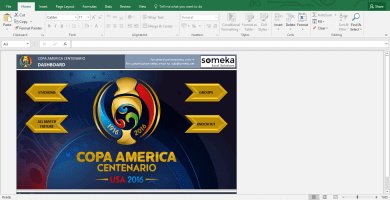 However, if you just know how to use Excel but don’t have any idea what an array formula is, then you may consider using templates. 2. Time: Do you have enough time to go from scratch? 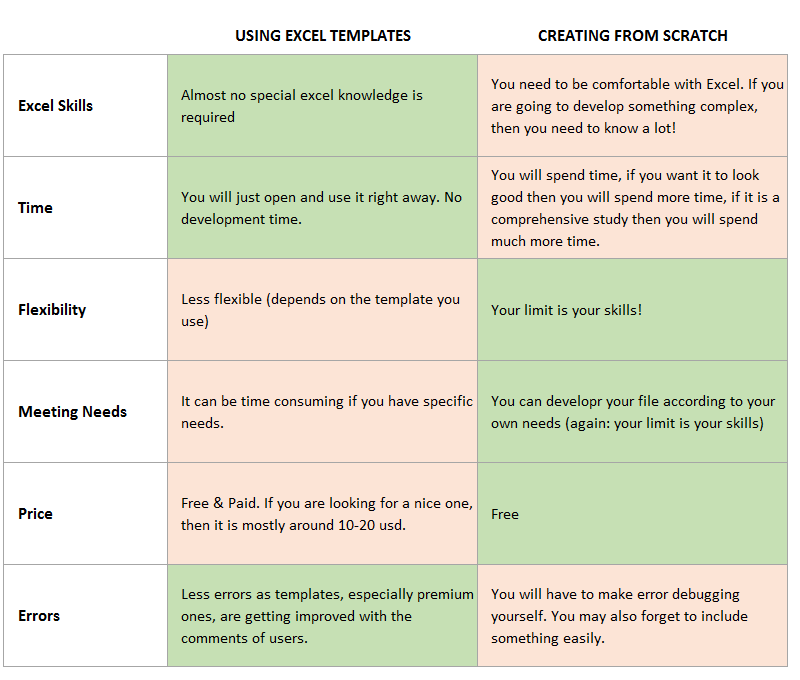 Even you are quite comfortable with excel, you may still consider using premade templates just to save time for your other priorities. Form my past experiences I have seen many times that most of the people have similar needs. Then why to re-invent the wheel? 3. Flexibility: Is it important for you to be able to change many areas of your file? Templates are prepared considering the “general” needs and standards. And most of them, especially free ones, just provided as-is. If template provides you only one currency rate to be used, you will stick to it or customize it. Or change colors, change layout, change the table logic etc. it all depends on how many changes you will need. 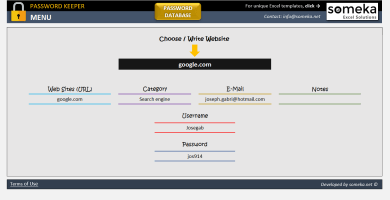 Some premium templates offers you several options to be changed, but still you will be limited. 4. 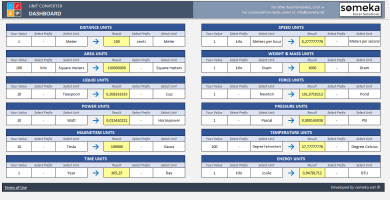 Meeting the needs: How specific your request is? As mentioned, most of the needs are similar. However, you may need something very specific for your case. If you are a small business owner and looking for a sales report template, the chances are good that you will find a template which fits to your needs. However, if you need a specific calculator to measure your profits based on each meters of cable you sell, then you will get your hands dirty or get it developed “for you”. 5. Pricing: Do you want to spend on it? 6. Errors: How sensitive are you to the errors? 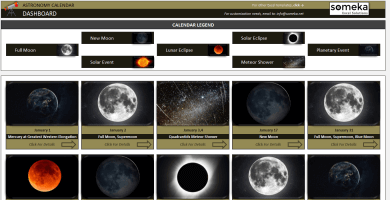 Most of the premium templates are being revised and updated regularly according to the users’ comments. If you do it yourself, be prepared to spend time on error debugging. Besides error issue, you may always forget to consider some parameters whereas templates cover most of the things you may forget to include. From my personal perspective, even if you have the necessary excel skills to create your own studies, using a good template as a start can save you lots of time and effort. Then you can customize it according to your own needs (or have it customized to experts). 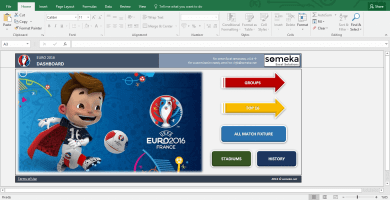 Just take a look at the free templates of your provider and if you like the quality you can try the premium ones. 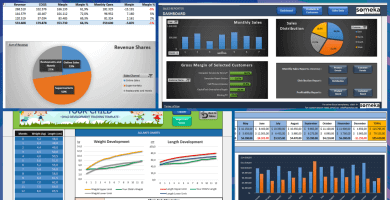 An ultimate guide to all the things you can do with Microsoft Excel: Calculators, Dashboards, Games, Gantt Charts, Cheatsheets, Data Analysis and much more. 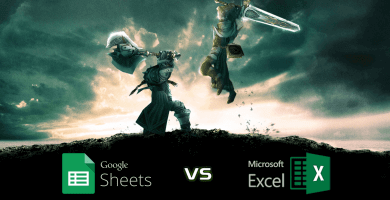 Google Sheets vs. Microsoft Excel: Which One to Choose? 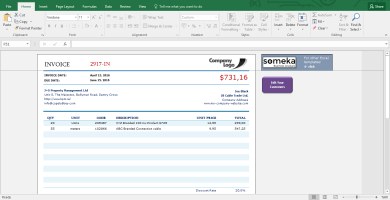 What are the pros and cons of Google Sheets versus Microsoft Excel? Which one should I use? A quick summary with a comparison table. 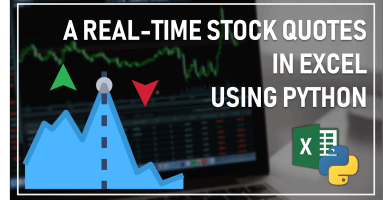 Using Python you will stream real-time data directly into Excel Stock Price Calculator! 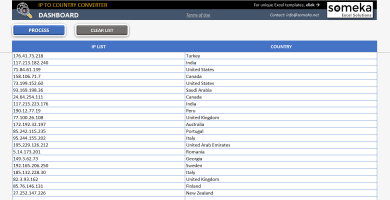 Real-time Portfolio View in Ready-to-use Excel Template! Still making org charts manually? Try Automatic Org Chart Generator! 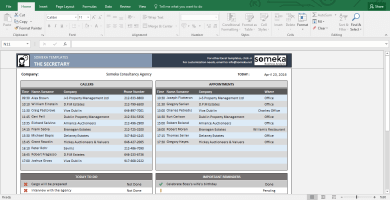 Turn your Excel employee list into an Organization Chart in seconds! 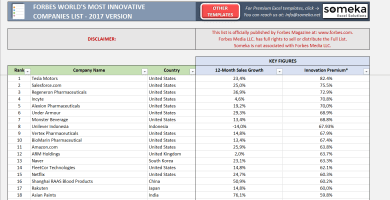 This ready-to-use Excel Template is a great tool for business people who don't want to waste time on charts.